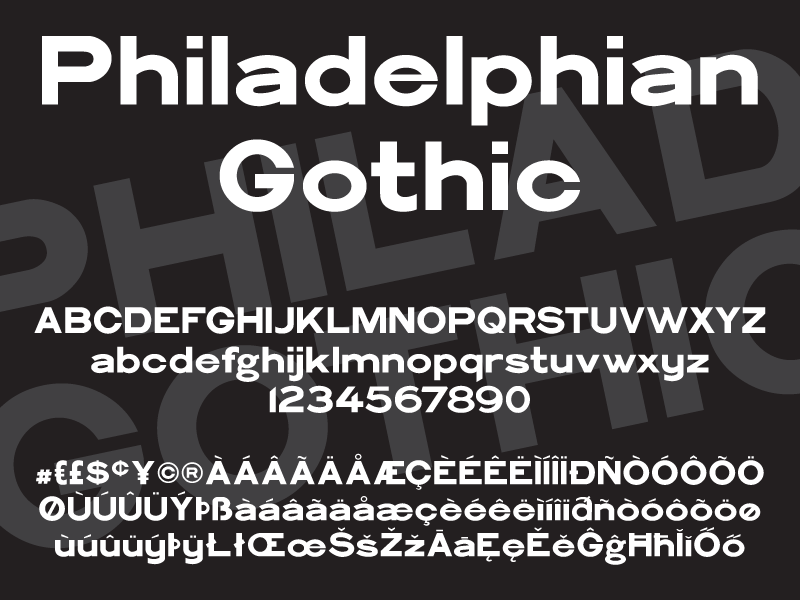 Philadelphian Gothic is inspired by a late 19th century typeface called Philadelphia Lining Gothic. Philadelphian Gothic has some language support and is served free for personal use and as is, but I would encourage anyone downloading and using it to consider a modest donation to the ‘buy the author a beer fund’ using the donate button on the right of this page. For use in commercial projects, a donation should be considered mandatory (and good manners). I hope you enjoy using Philadelphian Gothic as much as I have enjoyed making it.